Natural disasters are either the primary result of meteorological events, such as hurricanes, tornadoes, or typhoons, or geological causes such as earthquakes, volcanic eruptions, and tsunamis. Their impact on surrounding communities are dependent on the geographical location and can result in significant loss of economic income, infrastructure and lives. 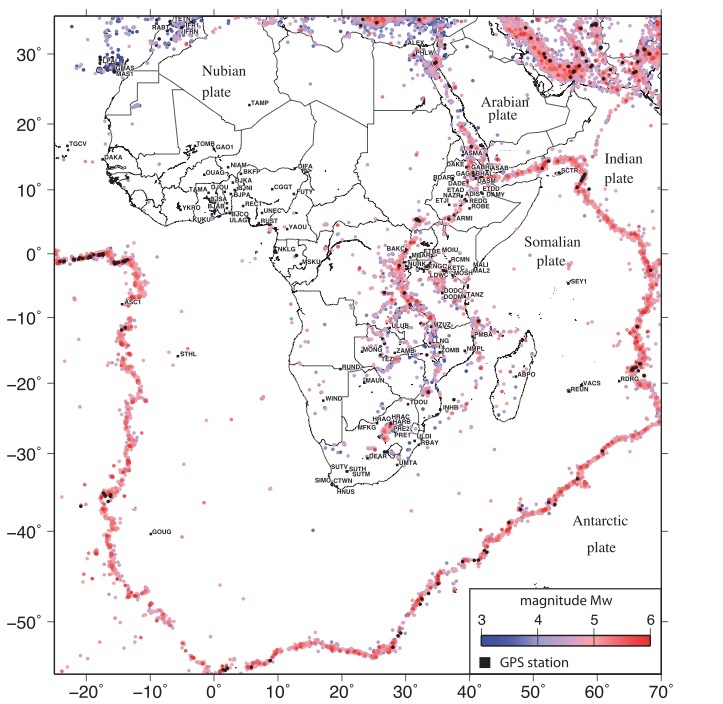 The African plate and other surrounding tectonic plates have experienced natural disasters historically and recently as a result of geological activity in the region. 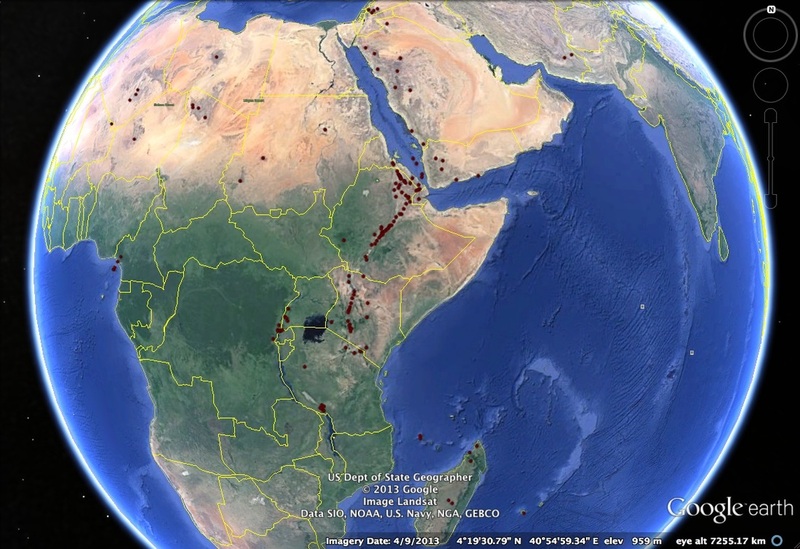 Historical eruptions in Africa are some of the earliest observed globally. 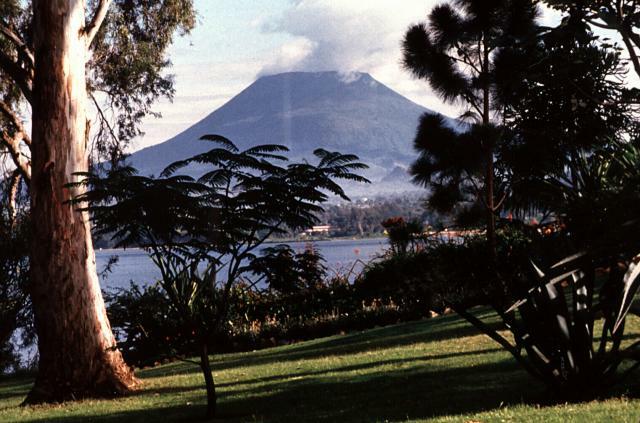 Mount Cameroon was observed to be volcanically active by explorers sailing the Atlantic Ocean off the west coast of Africa in the 5th century BC (Seibert et al, 2010). Volcanism in Africa (see Figure 1) is a result of either hotspot or tectonic activity such as the East African Rift. This extensional structure has resulted in the continent’s most topographically extreme volcanoes with the Danakil Depression as the lowest formation in the region and Mt. Kilimanjaro as the highest volcanic mountain on the African plate. However, volcanism associated with the East African Rift System is relatively mild compared to other regions. Comparable to the volcanism observed in Iceland along the Mid-Atlantic Ridge, the base of the East African Rift is dominated by lava flows resulting from fissure eruptions (Seibert et al, 2010). Arabian plate volcanism is predominantly a result of continental rifting, while the volcanism in the Indian Ocean is dominantly related to hot spot activity, such as The Comores (Smithsonian, 2010). 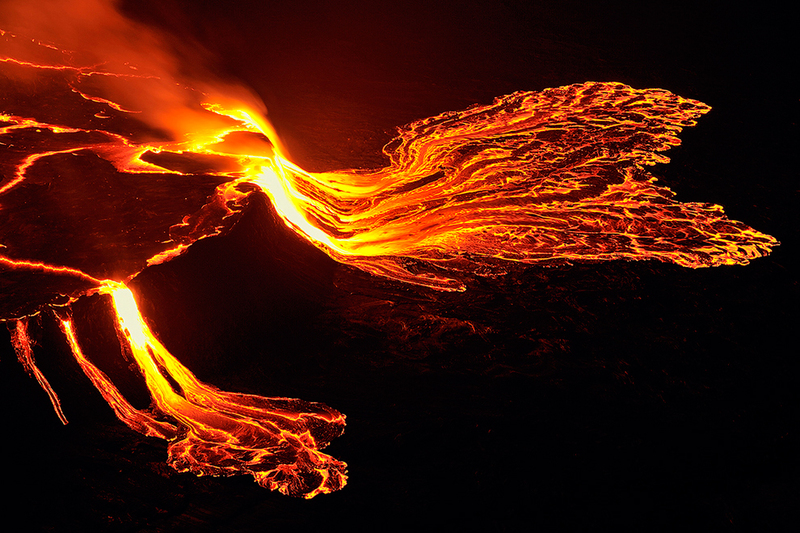 Using the Volcanic Explosivity Index, the historic eruption of Mount Nyiragongo in the Democratic Republic of Congo ranks in the largest volcanic eruptions in the 21st century (Wikipedia, 2014). The most recent and largest eruption occurred in 2002 when the volcano erupted along fractures on the southern flanks. The lava flow reached the nearby city of Goma, causing the destruction of buildings and private property, leaving 120,000 people homeless (Tedesco et al, 2007). Fortunately, early warnings resulted in the mass exodus of the city’s population (400,000 people) however there was still a loss of 147 people due to lethal gas emissions from Mount Nyiragongo (Wikipedia, 2014). Monitoring of these active volcanic regions and preemptive warnings are essential to mitigating the intensity of destruction during these volcanic events as Africa has the largest populations of people living within 5-100 km of volcanic fields and calderas (Seibert et al, 2010). The Arabian Plate is also seismically active to the north in the Zagros Mountains along the border of Iran (see Figure 2). This fold and thrust belt experiences seismicity due to the collision of Arabian and Eurasia plate in this region (Saudi Geological Survey, 2014). Read more on the ARABIAN page. Figure 3: Map showing epicentres of previous earthquakes in eastern Africa (1-26) with corresponding focal mechanism solutions (Yang & Chen, 2008). In February 2006, six large shocks and many smaller tremors struck eastern Mozambique, Africa (see Figure 3). This 7.0 magnitude earthquake was the largest seismic event in Africa in the last 100 years. Analysis of P waveforms indicated a presence of a normal fault trending North-South. The epicentre was not in proximity of any large cities, resulting in minimal infrastructural damage and loss of life (Yang & Chen, 2008). Corti, G., 2009. Continental rift evolution: From rift initiation to incipient break-up in the Main Ethiopian Rift, East Africa. Earth-Science Reviews 96, 1-53. Deprez, A., Doubre, C., Masson, F., Ulrick, P., 2013. Seismic and aseismic deformation along the East African Rift System from a reanalysis of GPS velocity of Africa. Geophyiscal Journal International 193, 1353-1369. Saemundsson, K., 2009. East African Rift System - An Overview. Reykjavík: United Nations University. Siebert, L., Simkin, T., Kimberly, P., 2010. Volcanoes of the World. University of California Press. Tedesco, D., Vaselli, O., Papale, P., Carn, S.A., Voltaggio, M., Sawyer, G.M., Durieux, J., Kasereka, M., Tassi, F., 2007. January 2002 volcano-tectonic eruption of Nyiragongo volcano, Democratic Republic of Congo. Journal of Geophysical Research: Soild Earth 112. Yang, Z., Chen, W.-P., 2008. 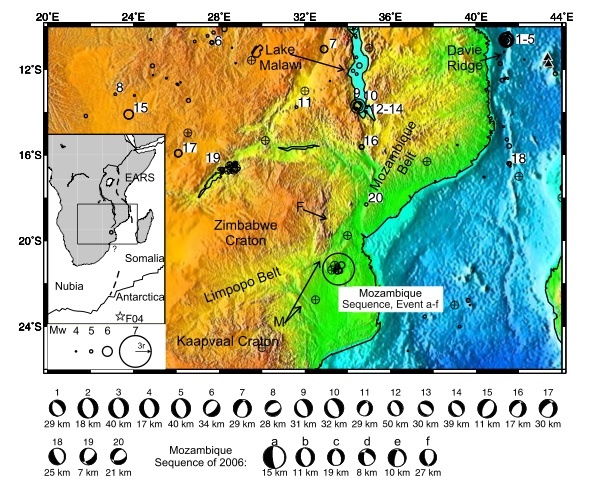 Mozambique earthquake sequence of 2006: High-angle normal faulting in southern Africa. Journal of Geophyiscal Research 113.